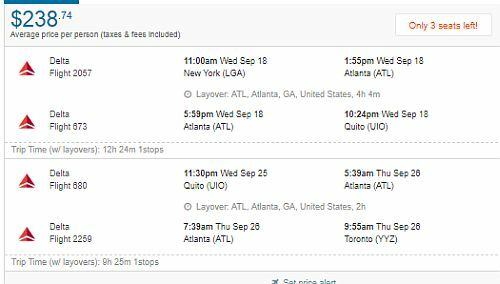 Delta is showing fares where you fly from New York City to Quito, Ecuador - and then fly home from Quito, Ecuador to Toronto - for a total price of $238 CAD roundtrip. 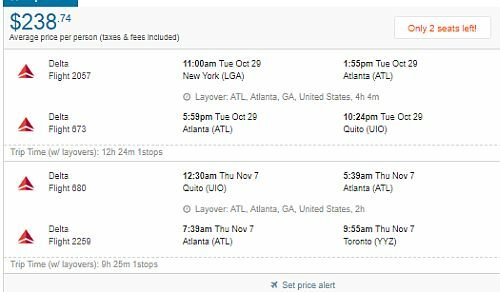 With an additional one way flight from Toronto to New York City, which is almost always available for $150 CAD, your total price for all flights involved would be $388 CAD. You can also find similar flights to Peru for $43 more. 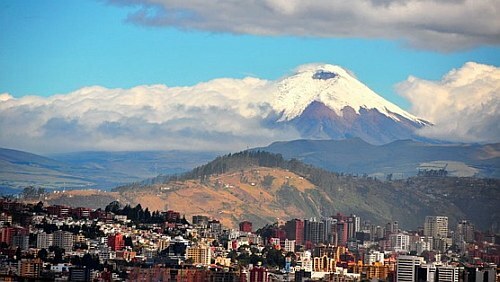 toronto, yyz, flight deals, new york city, new york, nyc, delta, south america, ecuador, lga, quito and uio. One Response to "New York City to Ecuador, and then Ecuador to Toronto - $238 CAD roundtrip including taxes | Peru for $43 more"